← Jumbo Jibbles in the news! Do you remember your best Valentine’s Day? What about your first kiss, or the first time you saw the person you fell in love with? I have a one-of-a-kind gift to recognize the time and place! 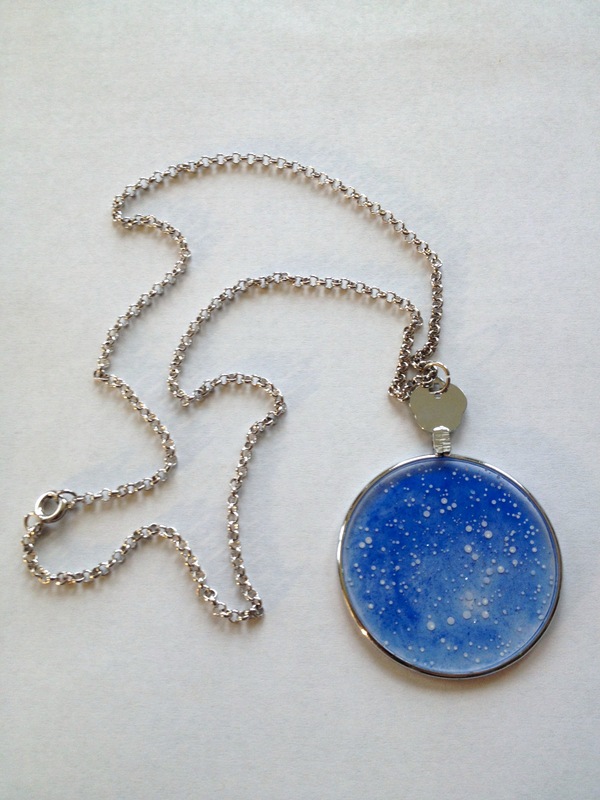 Handpainted on a vintage monocle, my Sky at Night pendants depict the exact stars visible in the sky at the time and place of your choosing. Past, present, future- the stars are not inconstant. If you are looking for a Valentine’s Day gift for someone who has everything, or loves something out of the ordinary, you can order a custom painted star pendant on a platinum-plated 18″ chain. Order by February 7th for V-Day delivery. Pendants take approximately 4 days to paint and finish. Also available are zodiac constellation pendants, available for immediate delivery.